ATHENS (Reuters) - Prime Minister Alexis Tsipras has been implementing his re-election strategy to the letter over the past six months, steering Greece out of a humiliating bailout and resolving a decades-old dispute with neighboring Macedonia. 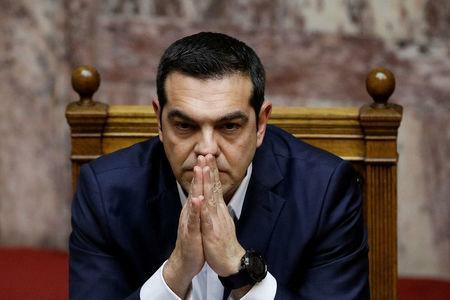 A negative EU report could unnerve markets -- destabilizing another plank of Tsipras' re-election strategy: the need for calm financial markets. Greece successfully tapped bond markets with a five-year bond last week, its first issue post-bailout, and plans more bond issues this year.